This Sunday: Learn to Purl, create stockinette stitch, and make & read gauge swatches! 1. Perch had its open house featuring D.M. Amoni's photography and celebrating the almost-finished middle room which is now my working studio and a fabulous workshop space! 2. I've had a couple of really fun Wednesday evening 'Radical Craft Night's and am looking forward to more! 3. The house my friend and I have been wanting to move into is official, so I'll be an official Carrboro-ite on Nov. 2! No more commuting to the country. Now, I'll just be able to have a fun time riding my bike out there. 4. My vintage steel frame Masi road bike is being converted, as we speak, to a fixie at Velodrome Cycling--a new bike shop in Carrboro. Can't wait to play around with that. 5. The deodorant-making workshop last night was a great success! I'm wearing right now, and I'd say it's working pretty well, even post run. 6. Speaking of runs, I'm back on the running train, and the goal is at least two group runs a week, and two on my own. We'll see how that goes. I think running + cycling is going to feel really great. 7. I'm working on a new list of workshops and am excited about the coptic bookbinding workshop that's coming up! 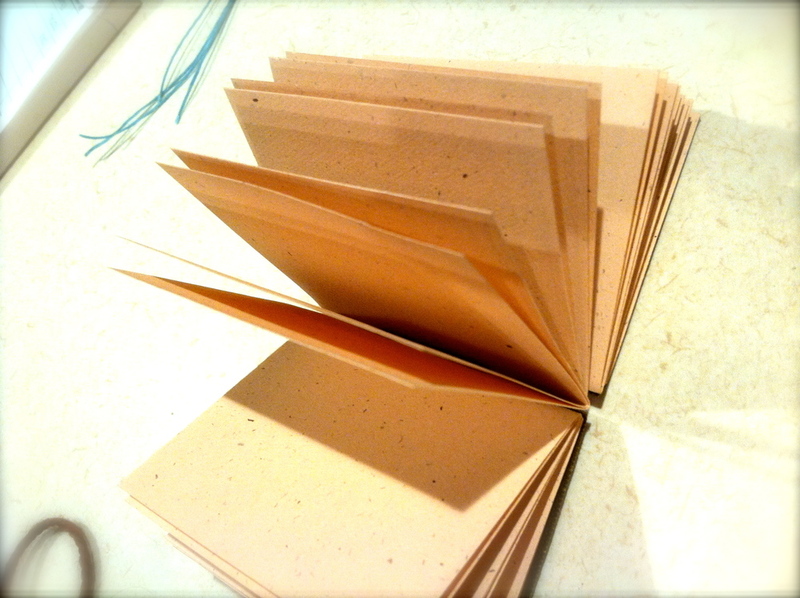 On Nov. 7, from 6-8, for only $15, you'll learn basic bookbinding skills that are valuable for any style of bookbinding. The best part? You'll leave the workshop with 1-3 tiny books for making lists, writing letters, or giving gifts! e-mail me at smartandbecker@gmail.com to sign up!